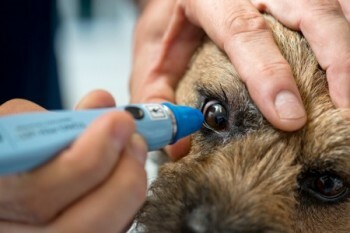 Tonometry is the measurement of pressure within they eye (called intraocular pressure) to determine if glaucoma is present in dogs. Abnormally high pressure can damage the optic nerve, leading to vision loss. Intraocular pressure (IOP) is the pressure exerted against the outer layers by the eyeball. 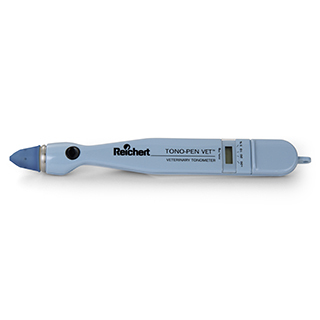 Tonometry is performed using an instrument called the tonometer. It is also useful for identifying low IOP, which may occur with anterior uveitis (inflammation within the eye) or following intraocular surgery. Low IOP is also associated with dehydration.